It's Grand Marnier who produces the Grand Marnier Cordon Jaune (£31.67), a triple sec with roots in France with an alcohol strength of 40%. According to Uvinum users, the Grand Marnier Cordon Jaune deserves an evaluation of 4,3 of 5 points. 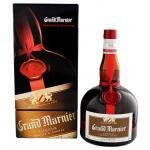 The Grand Marnier is a liqueur created in 1880 by Alexandre Marnier-Lapostolle. 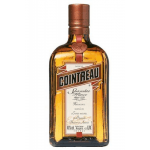 It is made normally, through a mixture of cognacs and a distilled essence of bitter orange. 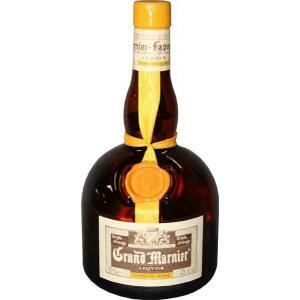 Grand Marnier Cordon Jaune is the only liqueur of Grand Marnier made using a neutral spirit, without cognac, and so it is considered to be a triple sec Grand Marnier. This liqueur is memorable and perfect to enjoy in cocktails and desserts. Do not miss it! - Taste: Great aroma distillation. This was a gift for my Mum who said that it was not quite as thick as she remembered but the taste was all there! - Color: Grand Marnier Triple Sec shows a crystalline color. - Nose: Notes of orange blossoms and candied citrus peels. - Colour: pale straw yellow. - Flavour: clean, spicy and fresh orange. - Odor: with a medium warm smell of Cognac. They have a soft orange background, with a noticeable bitter taste. - Flavour: notes of bitter orange. - Taste: slightly spicy, vigorous orange. -Color: Grand Marnier Amarillo presents a dull yellow. -Olor: The nose has an aroma of distillation. -Taste: Mouth is soft and quite fresh flavor. 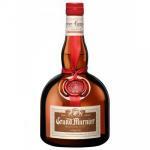 If you want to buy Grand Marnier Cordon Jaune, at Uvinum you will find the best prices for Triple Sec Grand Marnier. At Uvinum, at the best price, wherever you are, via your mobile device or computer. We have more than 59.000 products for sale in our catalog becoming this way the biggest company to sell wine, beer, and spirits online in Europe with more than 38.000 customers trusting us.